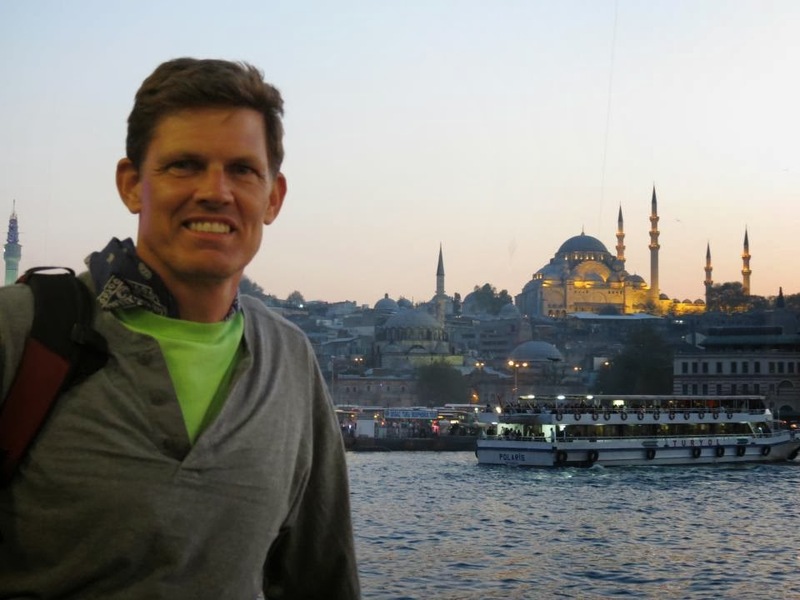 William Little is a Senior Instructor at Georgetown University’s Intensive English Program. He spent the 2012-2013 academic year in Adana, Turkey as a Senior English Language Fellow through the U.S. State Department. Between the protests in Turkey and the violence in Syria, did you ever feel unsafe, particularly as a foreigner? Adana is in the southeast, about a hundred miles from Syria. When I traveled to schools close to the border, I always felt more welcome than threatened. I think they were happy to see that someone made the effort to go to the border to work with those students. During the revolt, I could see teargas in the streets from my apartment window. And some of my Turkish friends told me of their friends who had been detained for sending anti-government tweets. But I never felt personally endangered or like I represented anything to the protesters as an American. It was their revolt, their message to their own government. Believe it or not, the only thing that was really scary was simply trying to cross the street. The drivers in Adana can be quite dangerous. What’s it like to be an English Language Fellow? Do you recommend it? But it might not be everybody’s cup of tea. You have to be very good about getting a photo and writing a summary of everything you do. The State Department is paying for your fellowship, and they want to be able to show what you’ve been doing. You need to be patient with bureaucracy, and you need to be very flexible, in any situation that might come up at work or in the community. It’s also important that you enjoy meeting people and having new experiences. It can be pretty lonely otherwise. American English is a useful site to know what resources are available and to get more information from the Dept. of State’s Office of English Language Programs. You also taught in Turkey about 15 years ago. What differences did you find this time? Ironically, it’s both more modern now and in many cases more conservative, both of which are attributable to the current government. The infrastructure has improved greatly (for example, it’s much easier to travel by plane), but otherwise it doesn’t seem very different. The people are just as friendly as before. For me personally, a big difference is that this time I was with my family. Between my height and my younger son’s blond hair, we clearly stood out as the only foreign family in the neighborhood. The boys got a lot of attention (sometimes too much! ), and they had a great time playing soccer and basketball with the local kids. 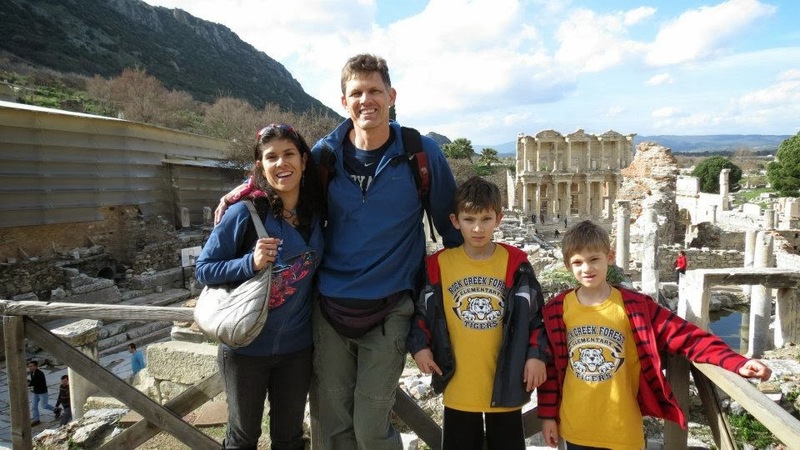 My wife and I decided to teach them at home rather than enroll them in a Turkish school because back home the boys were in a Spanish Immersion program and my wife’s a native Spanish speaker. Before we left, we met with their teachers to plan what we needed to go over and get the materials we needed. The boys liked writing reports about the interesting places we visited, and they really enjoyed going to school in pajamas. I run, swim, and do yoga, all of which help me to stay in shape physically. But what really helps me to stay in shape mentally is walking, especially when I can go to the forest with my dog. I need that quiet time to clear my head. To me, “mindful teaching” sits at the intersection of sound pedagogy and self awareness. Try to reflect and see if what you’re doing is effective and useful for the students, not just from an academic point of view, but also in their lives. Just as important as knowing what you’re doing and what’s good for the students, is realizing what you’re good at, and who you are. If you’re able to do all of that successfully, I think you’ll be successful not just in the classroom but also in terms of keeping your own sanity and not getting burnt out.